All Set is all set for Restaurant Week — again. 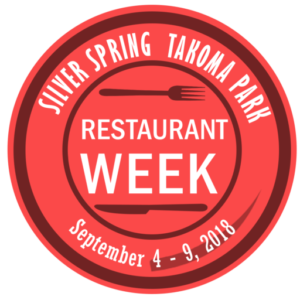 All Set Restaurant & Bar is participating in the third annual Silver Spring Takoma Park Restaurant Week, as it did in 2015 and 2016, said Jennifer Meltzer, managing partner and co-owner. The 140-seat restaurant — which also has a 35-seat seasonal patio — is a relative newcomer to downtown Silver Spring, having opened in April 2015. So far, business is “going pretty well,” Meltzer said. She’s a big fan of Restaurant Week, which this year runs Sept. 5-10. Picking Silver Spring as a location for All Set was almost a no-brainer for Meltzer — she’s a native and loves it. While studying anthropology and Middle Eastern studies at the University of Virginia, Meltzer got her first taste of the restaurant industry, working in a sandwich shop. She earned a master’s in Middle Eastern studies at Georgetown University, but returned to the restaurant business. She has worked at BLT Steak, The Capital Grille, Founding Farmers and Del Frisco’s Grille, and has a certificate in food service management from Cornell University and as a wine professional from the Culinary Institute of America. She recently achieved the second level in the Court of Master Sommeliers. “I’m excited to be in Silver Spring,” she said. “I feel like we’re becoming members of the community. Her civic pride is obvious. And the restaurant scene is part of that. All Set Restaurant & Bar features a raw bar with oyster, clams and crab. Entrees include classic American fare, such as burgers, lobster rolls, crab cakes, fish and chips, and chicken dishes. Desserts include ricotta doughnuts, with cinnamon sugar, creme anglaise and chocolate ganache. The offerings of New England-inspired dishes and cocktails — the Provincetown, the Harvard Yard, the T — isn’t accidental. Meltzer’s father is from near Boston and when she and her chef-partner, Edward Reavis, after having worked on Cape Cod and Nantucket, were thinking of a concept for All Set, they decided to bring that Massachusetts flavor south to Silver Spring. (301) 495-8800; its website is allsetrestaurant.com.